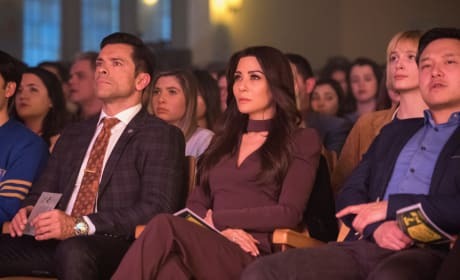 The audience does not look happy while watching the performance of Heathers The Musical. Does that mean the show is a flop? 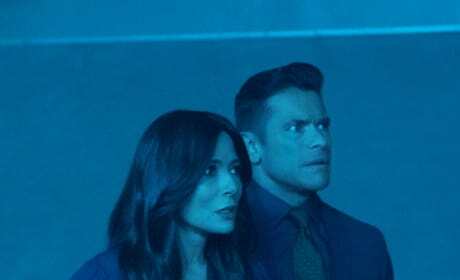 The Riverdale adults are brought back to Riverdale High for a night of secrets and games. They have a game to finish, after all. 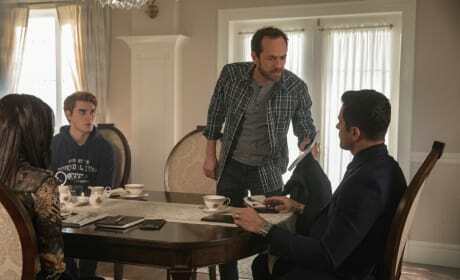 It's a bit of a reunion for the adults of Riverdale. They're being brought back to the beginning ... to that game that nearly ended it all. 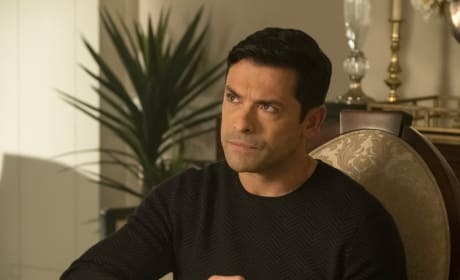 Hiram should probably enjoy his single glass for as long as possible because his daughter doesn't like to have him around anymore. Hermione wants to win the title of mayor to further her family's business and the prison deal in Southside. 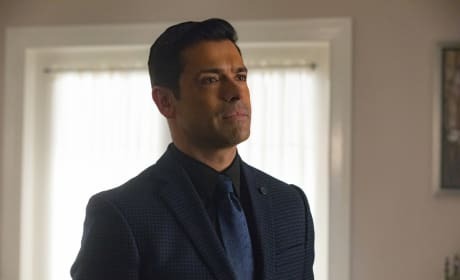 Hiram Lodge doesn't look too pleased. Whatever is making him angry, it must be bad news for the messenger. 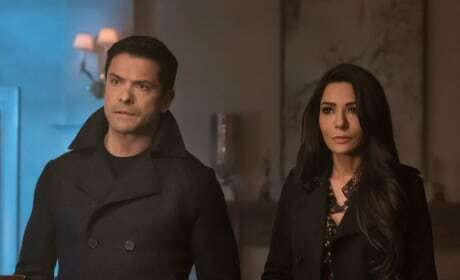 Hiram and Hermione are two peas in a pod. Their evil schemes fit their personalities perfectly. 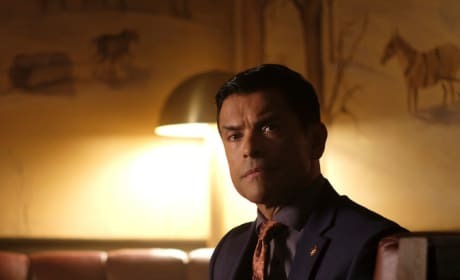 Hiram is suspicious that someone has been feeding information about him and his business to someone outside the inner circle. Will he find out who it could be? Fred has been in business with the Lodges over their development deal. However, when you're in business with Hiram and Hermione, the skeletons in the closet could ruin everything, especially his political career. 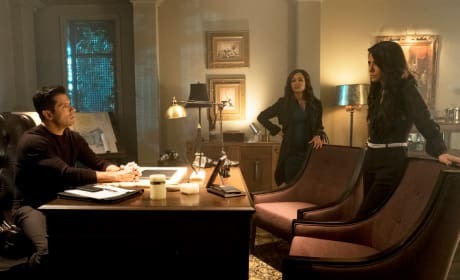 Business is what's keeping Hiram, Hermione and Mayor McCoy playing nice with each other. Though, based on their looks, this partnership could be reaching an end real soon. 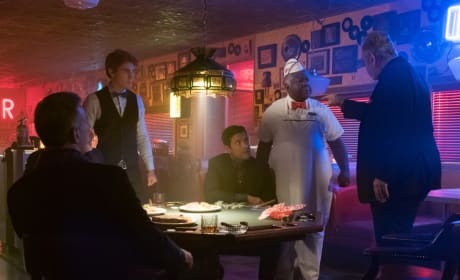 There's trouble brewing at the poker game. Could this mysterious man be dangerous? 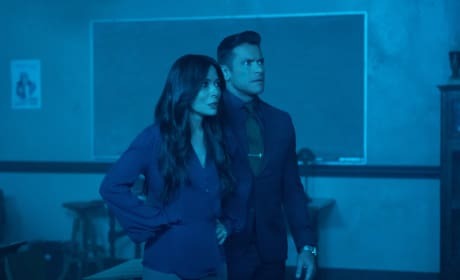 Archie's first job as Hiram's intern could pose a big interesting. 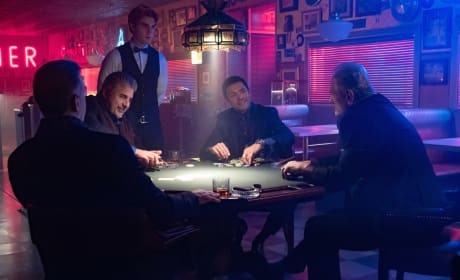 Hiram is playing in a late night poker game.